A collection of over 80 motivating and imaginative vocabulary activities for immediate use in the classroom. 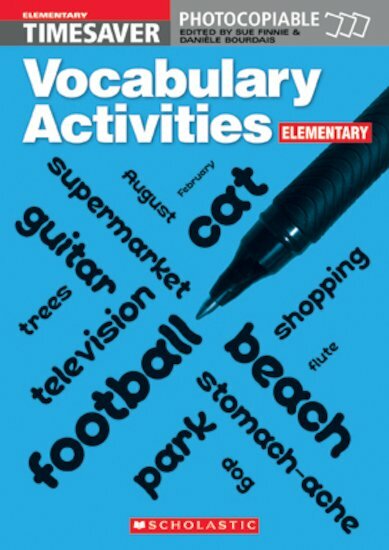 The book covers a wide range of vocabulary topics and is ideal for presenting and practising vocabulary at low level. Activities include crosswords, logic problems, personality tests, quizzes, wordsearches and board games. Aimed at students who have 0-1 years of English, 11-12 years old, this book is designed to provide interesting and exciting grammar activities which teachers can use easily to complement their standard ELT syllabus. Can be used for used for self-study or homework, as well as supplementing course work.